Welcome to Sub Kicks Vol.1! Inside this kit you'll find yourself with (50) bone-crushing, heart-pounding kick drum samples made especially for Hip Hop and Trap Genres alike. Don't worry, these samples can be used across a wide variety of genres including Future Bass, Future Trap, Lofi HipHop, Rnb and more!!! We used a wide variety of Distortion, Compression, EQ and Saturation to bring out both the intensity and harmonics of the kick drum to add both punch and character in your mix! 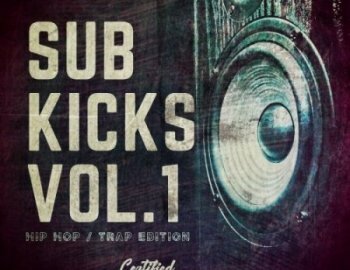 Take your productions to the next level with Sub Kicks Vol.1!